Damn its cold outside. Sorry, just needed to clarify that. But it's warm here inside the Chateau, and it is time to revisit countertops! Remember way back when, when we talked about countertops? And I extolled the virtues of Cosentinomaterials and the extraordinary craftsmanship of Stone Masters? Well we have now lived with the products and installation for nine months with nothing but joy and no problems, so of course when it came time to look at countertops for the second phase of the project, we wouldn't go anywhere else! Kitchen: A U-shaped section that contains two cooktops, one drop-in appliance, and a sink. A small island. An L-shaped section that contains one sink. We needed this material to be more than just durable, we needed it to be indestructible. The kind of surface that is impossible to damage with heat or scratching or staining, but is also easy to maintain. Kitchen pantry: small shelves for spices, one shelving unit insert. The pantry has a nook where we will have 13 (yes, lucky number 13) little shelves where all the spices will live. It also is wall to wall wire metro-shelving, and we needed one shelf liner that could also serve as a little countertop if necessary. If you don't know about my kitchen library, you can check it out here. This is essentially moving upstairs almost wholesale, but with a couple additions. We are not bringing up the two antique cabinets, since they are gorgeous but we lose storage because they are short. So we are replacing them with two new metro shelving units, one of which will have a countertop insert where the microwave will live. We are also adding a buffet to this space, which needs a countertop as well. So we took what we knew about our design, grabbed our amazing Poggenpohl cabinet designer Marcy, and headed for the Cosentino showroom. Now, you know us, we have some clear ideas and opinions about design, and always head into a project with a lot of research under our belts. And we had already chosen (we thought) a lovely quartz product that Cosentino carries for the kitchen countertop. The quartz we used in the basement in the media room and laundry room were functioning beautifully and looking amazing, and we had been very impressed with the product, so we were certain we would use that material again. 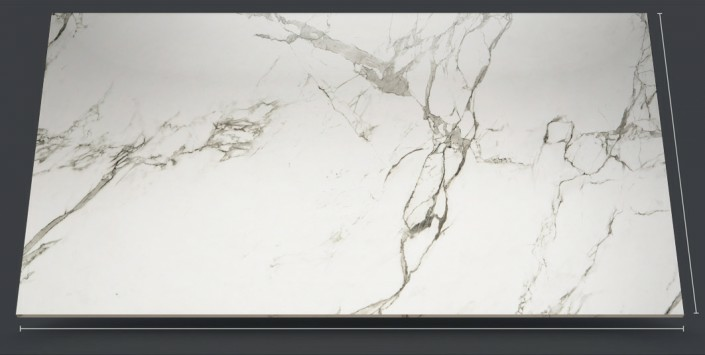 Dekton is the newest available countertop material, and it is a product made of a combination of quartz, porcelain, and glass, compressed under extreme pressure to make a surface that is damn near impossible to damage in normal usage. And I'm not just talking in countertops. You can use this stuff indoors AND outdoors, as flooring, wall covering, anywhere you could use tile or stone, you can use Dekton. You know how diamonds are the hardest material on earth, because they are created in high pressure? Same principal. You get the hardness and durability of quartz, intensified by the glass fusing the material, and the gorgeous look from the inclusion of the porcelain. It's truly amazing. The lovely folks at Cosentino were once again honest with us about why they thought this material was a good match. While they certainly agreed that quartz would work wonderfully well for us, the Dekton is just a slight step up in the durability factor, and they know that this is a kitchen that will be getting an enormous amount of use, so they thought we would want that extra layer of protection. It also came in a wonderful matte finish, and they knew I was concerned about the look of so much shiny countertop. 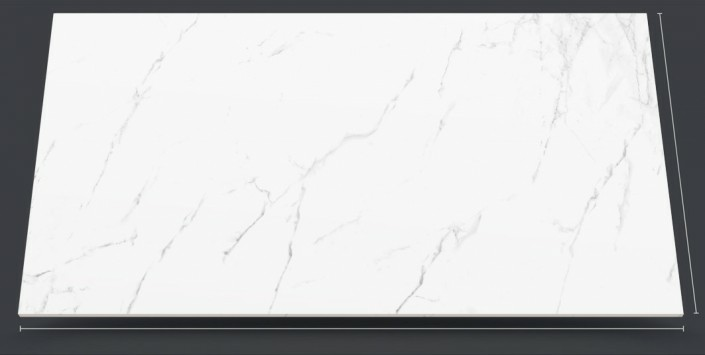 They had heard me say I loved the look of white marble, but would never use it in a kitchen for myself because it is so difficult to maintain. We had been toying with the idea of white quartz, but had abandoned it because we felt it would be too stark and sterile looking at the scale of countertops we have in the space. Dekton has a couple of versions that have the look of white marble with lovely veining, so that we could achieve the look we preferred, but without the maintenance. Charming Suitor and I were tentatively sold, but we needed to see the slabs, because the whole "fake" marble veining thing can go sideways really quickly. But not at Cosentino. And not with Dekton. They took us into the slab room to check it out. Trust me, in person? Flawless. This is one with subtle brownish gray veining... This is more veined, and slightly more gold toned to the veining. And this is the more dramatic gray veining.And these were just our options in the white marble family! They had a dozen different marble looks, solid colors, some that looked like wood. There was the classic matte finish, which felt lovely to the touch and was just what CS and I had envisioned. (yes, we fondled the slabs with abandon, and no, we are not ashamed.) But they could also do amazing high gloss for people who like that look. For the kitchen we decided on Kairos, the most subtly veined of the three. Marcy had brought a sample of our cabinet material with her, and the brown-gray veining in the Kairos was a terrific match to the color of the lava teak. She recommended a mitered edge of five centimeters, so the counters would essentially look like a two-inch thick slab of marble. It came as no surprise to discover that our friends at Stone Masters are the single top fabrication house for Dekton, not just in the greater Chicagoland area, but pretty much in the whole country! Because the one thing about this stuff? It is complicated to fabricate. The very reasons it is so indestructible make it a really hard material to work with, especially for fine edges and complex patterns. Tom at StoneMasters spent months developing his proprietary methods for working with this stuff, till he found the perfect way to make the material really sing. We had been concerned, because there are a lot of difficult things the countertops needed to do, in addition to more cutouts than for a usual kitchen, and long expanses, we were also requesting that the countertop extend into both windows and become a seamless windowsill behind the main sink. So there weren't a lot of just straight lines to cut! We wanted as few seams as possible, which is another reason Dekton was great for us, because the slabs are oversized, 56" wide and 126" long! That is over ten feet before you need a seam. 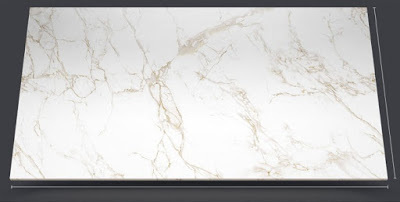 Tom and Robert at Stone Masters assured us that they could do the kitchen in Dekton no problem, not that we had any doubt, and we were so excited to be working with them again. Then it came time to talk about the little bits for the pantry and the kitchen library. Again, CS and I thought we would just do more of the Dekton, to keep everything cohesive, but the Cosentino team had another thought. They knew we were doing the BlueStar ovens in deep orange to have that pop of color in the kitchen. Then they took us over to see another slab. 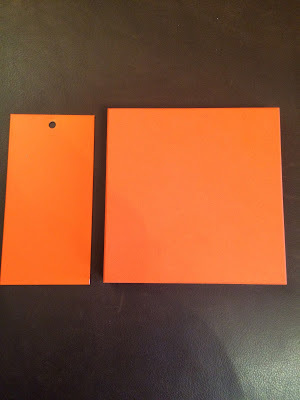 Color sample for ovens on the left, orange Silestone Quartz on the right. I mean, right??? ?We couldn't believe what a perfect color match it was, especially since orange is notoriously hard to match under the best circumstances. Since the Cosentino designers knew that the pantry and kitchen library were both being painted a deep brownish gray, with just steel and wood, the orange wouldn't be too much, and it would nod to the ovens in a cool way. We were sold. Dekton Kairos for the kitchen counters and Silestone Orange for the pantry and kitchen library bits and pieces. We also went with Silestone for the two bathrooms, more on that next week when we chat bathroom design. Your takeaways for countertops? The usual Stacey Commandment about knowing both how you plan to use a product and what your budget is...but also, I cannot stress enough how much easier your life will be if you spend some time researching the best showrooms and fabricators in your area. Once you trust the people on your team, you can have confidence in their guidance. We knew from our first experience with both Costentino and Stone Masters that when they all said that Dekton would be a great fit for us and how we planned to use the kitchen, we knew we could absolutely count on that being a great decision. And with Marcy there to help us keep a keen eye on the design elements, we also knew that all the products would work beautifully together from an aesthetic perspective. Stay tuned, because believe it or not, there is still one appliance to discuss, and those gorgeous countertops are getting installed very soon!